Most people get acne at some stage in their lives, from ages as young as 8 upwards. If you have had “spot”, “pimples” or “zits”, it is likely that you have had acne. It is extremely common in teenage years due to the effets of hormones on the skin and oftens settles in the late teens or early 20’s. Unfortunately for some people it can persist for many years beyond this and up to 15% of women and up to 5% of men continue to suffer from active acne. 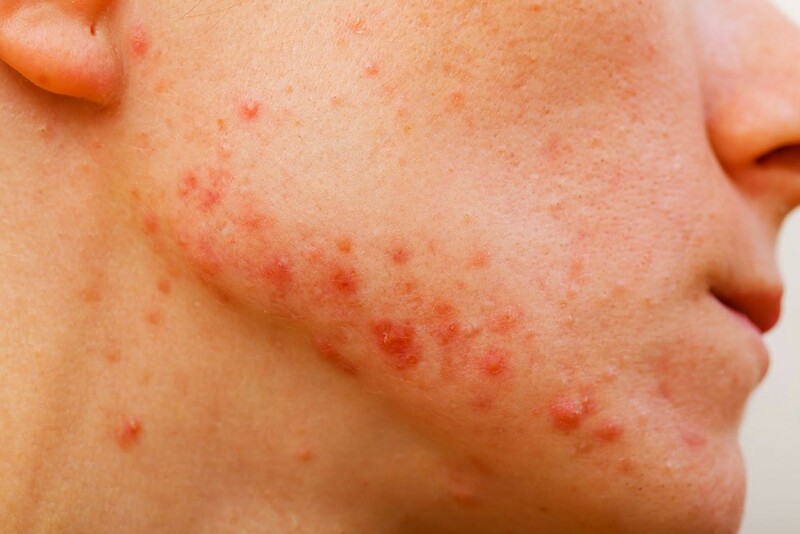 Acne is a chronic inflammatory skin condition that involves the pilosebaceous unit in the skin (each pilosebaceous unit contains a hair follicle and oil-producing glands). There are many causes of acne such as hormonal (e.g. in puberty, polycystic ovarian syndrome, excessive stress and depression), genetic, environmenal. Skin types and conditions tend to run in families so if a close family member has or had acne, you are more likely to get it. As discussed above, acne is more common in the teenage years, probably due to an increase in circulating levels of testosterone. In certain conditions such as Polycystic Ovarian Syndrome, there are higher levels of insulin and testosterone, with insulin resistance, which are all thought to play a role in acne. Chronic stress and depression can lead to excess steroid levels being produced by the adrenal glands which may also play a role in acne. Acne can be more troublesome at times of high humidity. Certain cosmetic and topical products can increase the risk of acne; watch out in particular for products that contain lanolin, petrolatum, vegetable oils, butyl stearate, oleic acid and lauryl alcohol. These can all block pores leading to a build up of sebum leading to acne. It can be difficult to study the direct link between diet and acne but several food groups are thought to contribute to acne. Foods with a high glycemic index can contribute to acne. The glycemic index is a measure of the effect foods have on our blood sugar levels. Foods with a high glycemic index, such as white bread and baked goods, raise our blood sugar and insulin levels more than low glycemic index foods. The raised insulin in turn raises testosterone, natural steroid and growth factor levels, which affect sebum production in the skin and increase the risk of acne. Although cow’s milk has a low glycemic index, it contains hormones such as testosterone, oestrogen, progesterone and natural steroids which affect sebum production and skin cell turnover. Milk also contains amino acids such as arginine and leucine that produce insulin when combined with carbohydrates. Therefore sometimes people may notice an improvement in acne when they reduce cow’s milk in their diets. What problems can acne cause? Acne can lead to significant social and psychological effects, particularly during adolescence and teenage years when there is peer pressure to fit in and physical appearance is important. It can lead to severe scarring which can be defiguring and cause lifelong psychological problems. Inflammation can also lead to hyperpigmentation or hypopigmentation problems. Regular exercise, drinking plenty of water and eating low GI foods and reduced dairy products may all help acne. Good skincare is essential to unblock pores and reduce inflammation in the skin. 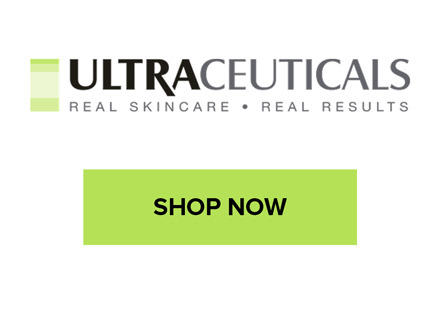 We recommend the Ultraceuticals range which have a product line specifically for acne. Their Ultra Clear range contains important ingredients that help clear congestion in the skin, fight inflammation, control oxidation and reduce irritation. At Rewind Skin & Laser, we also offer a range of in-clinic facial treatments and peels that are fantastic for treating and controlling acne. When acne is severe, oral prescription medication may be needed such as tetracycline antibiotics or isotretinoin.